Things tend to work better between two people when each has a clear idea of what the other expects. It’s a great way to minimize conflict and misunderstandings. At work, it’s important for an employee to know what his or her manager expects. But employees also have expectations. And while they usually are subordinate to their manager’s, they should be recognized and accommodated when that’s possible. It’s usually easy for the manager to identify expectations related to the tasks the employee is supposed to perform. But it might not be so easy to identify or talk about how the manager and employee want to interact with each other. To get that started, I’ve provided questions that touch on those areas. The questions don’t cover all situations; perhaps these questions will help you think of others. There are questions for both the manager and the employee to consider. The questions complement each other. They’re not exactly the same because the manager and employee have different responsibilities. You can use the questions during onboarding. Or after you review them, perhaps you will want to use one or more of the questions to discuss a topic you haven’t discussed before. The employee and manager first should answer the questions on their own. Then they should discuss their answers and reach agreement. The agreement isn’t intended to be forever. 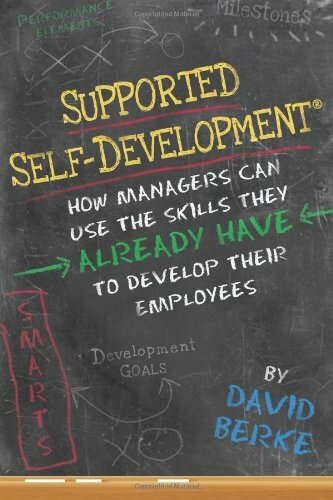 It should be reviewed and updated periodically as the relationship between the manager and employee evolves. I’m very interested in your reaction to these questions, how you use them, and if you come up with questions of your own. Email me your questions: knowitdoit@outlook.com. 1.How often should the employee provide status reports regarding what and how they are doing on the job? If this is different for each assignment, say so and set the expectation for each assignment. 3.When receiving information from an employee, do you prefer details or summaries? Describe your preference. 4. If the employee has a question, check the best way to approach you. O It’s okay to ask any time. O If it’s not an emergency, I prefer an appointment be scheduled. O Consult someone else in the department first if I’m not available. O Tell them immediately or soon after? O Wait until a performance review? O Have someone else tell them? O Let the employee figure it out? 7.If an employee disagrees with you, how should the employee approach you? 8.Is it acceptable to you to receive feedback from the employee? This could be about work or how the employee feels he or she is treated. If yes, how should it be done? 9.What types of decisions can the employee make on his or her own? What types of decisions require your input or approval? How will the employee know which is which? 10. How flexible are you willing/able to be about the employee’s schedule? What criteria will you/do you use to decide about that? 11.Are you comfortable with your employees telecommuting? 12.Are there any other topics that you might want to discuss with your employee? 1.How much interaction do want with your manager about your job? Do you just want to know the desired goal and then be left alone to do it? Do you want to have regular status meetings? On what does this depend? 2. How comfortable are you about going to the manager with a question or concern? If you’re not comfortable, what would help make you comfortable? 3.How would you approach your manager if you had a disagreement with him or her? How would you like the manager to approach this? 4.How would you like your manager to communicate feedback about your performance? How often? Describe. 5.Given your current understanding of the job and your knowledge of your strengths and weaknesses, what types of decisions do you believe you can make on your own and what types of decisions do you believe will need your manager’s approval or input? 6.Ideally, how much autonomy would you prefer on the job? Describe. 7.How much schedule flexibility do you want/need? Explain. 8.Are there any other topics you might want to discuss with your manager? In case you missed it above: I’m very interested in your reaction to these questions, how you use them, and if you come up with questions of your own. Email me your questions: knowitdoit@outlook.com.